Our children and families who come through our doors are looking for hope, compassion, and understanding. Our staff are there, ready and waiting, to be the soft landing. Your donations help us train our staff, keeping them knowledgeable about techniques, strategies, and tools to encourage our children and families to learn, grow, and transform. We always need basic living essentials – from toothpaste to sporting equipment. Join us at Vashti for mentoring, school tutoring, help with our property, or become an advocate! Click here to download the advocate form, or fill out the online form below. At Vashti, we are always looking for people to lead church services or bible study. Let us know if you’d be interested. Over 40 years ago members of the original Vashti Auxiliary, met to search for a new way to support the important work of ministering to Thomasville’s children in crisis. The group came up with the idea for a cookbook that would contain recipes for fine southern cooking. 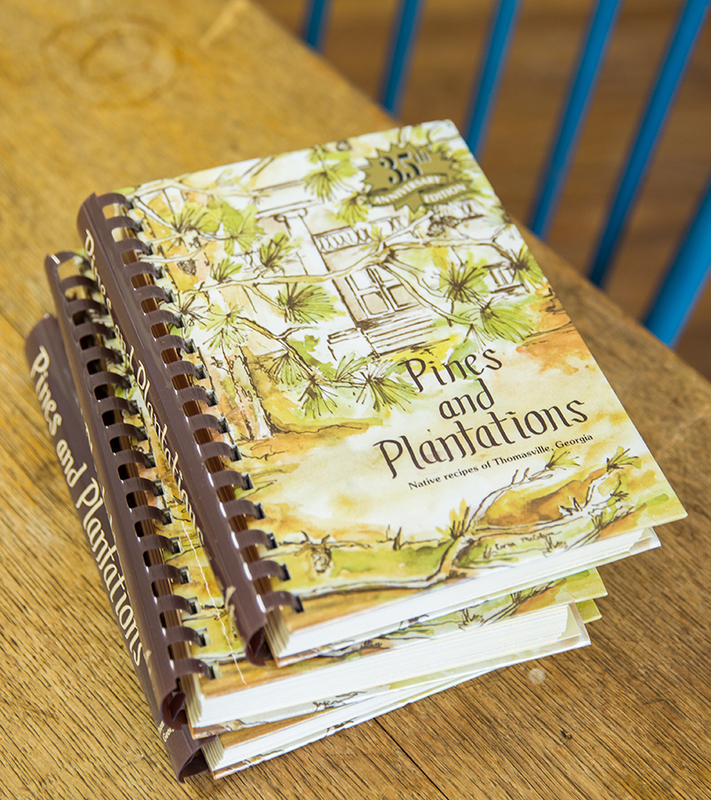 “Pines and Plantations” can be found in kitchens across the nation. And over $500,000 have gone to support Vashti. Town & Country magazine recognized “Pines and Plantations” as one of the very best regional cookbooks in 1983.